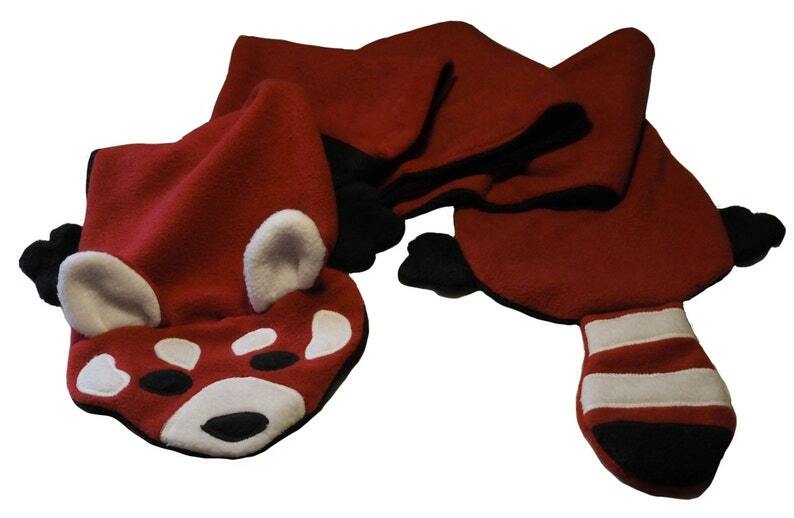 Now you can have the cutest animal in the world draped cozily across your neck with this red panda scarf. Eight feet of double thickness fleece will keep you quite cozy and the scarf is machine wash and dryable to keep it looking great through many wearings. The scarf not only has a sweet little face, but also sweet paws and a fabulous stripey tail.